As the economy is growing rapidly and the career options in finance and accounts as well. One of the most dominating fields in this sector is the profession of Chartered Accountant. The role of Chartered Accountant is rewarding, challenging and dynamic. Generally, most of the countries have their own Accountancy Association controlling the quantity and quality of the professionals regarding the field. Chartered Accountant Course is beneficial for gaining knowledge of Accounting in our country and is introduced in 1949 along with the Chartered Accountants Act. 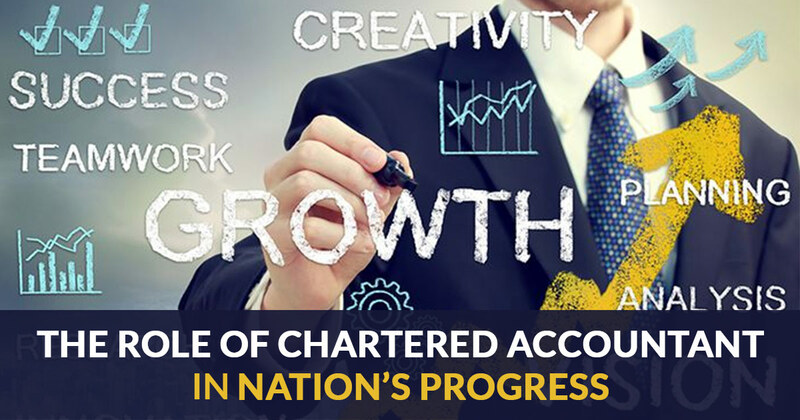 And in the same year, the Institute of Chartered Accountants of India (ICAI) was also established. A Chartered accountant is a person who is an expert in related fields like auditing, accounting, and taxation. He is responsible for a corporate and management caretaker. Currently, accountancy has gained so much of surge in popularity. 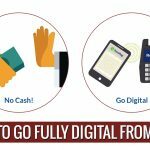 The services provided by a CA is essential in money related matters concerning even small business as well. Furthermore, CA professionals are the only person responsible for companies’ audit in India. 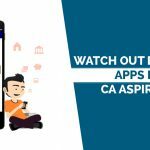 A CA is considered as a member of the Institute of Chartered Accountants of India (ICAI) after clearing the final examination of the CA course regulated by the ICAI. This is a globally recognized qualification, so CAs are considered perfectly suited for a global scale qualification. The training program for a chartered accountant is also meant to make them aware of the industry work, face any circumstances, and how to treat with complex and difficult matters of the finances of an organization. A finance expert support and advice is inevitable in order to certain the progress of a business. The report may be based on a short, long or day-to-day basis, Chartered Accountants have required usability in solving problems generally, that it makes the Chartered Accountants and go-to person for any kind of problems faced by companies. After completing a degree in CA, there are numerous scope to choose a path as a career choice. The career options are vast and varied and so the chances to earn money are high too. The most favorable choice in jobs is auditing and accounting. Therefore, finance is a huge field and possibilities are various and inviting as well. 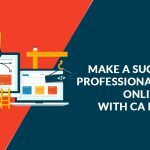 A CA can work as a consultant, SAP specialist, and setup own practice, the chances in this particular field is infinite. Experience in this particular field after post-qualification makes a CA work in a huge amount of offering in the business analysis which makes to use knowledge in complex information gathering for business growth, so the CA is required to be smart to enhance the ability. As chartered accountant plays a very important part in managing the finances and the working of finance and accounting related tasks, therefore, being a Chartered Accountant is a good choice and required for the growth in the field. 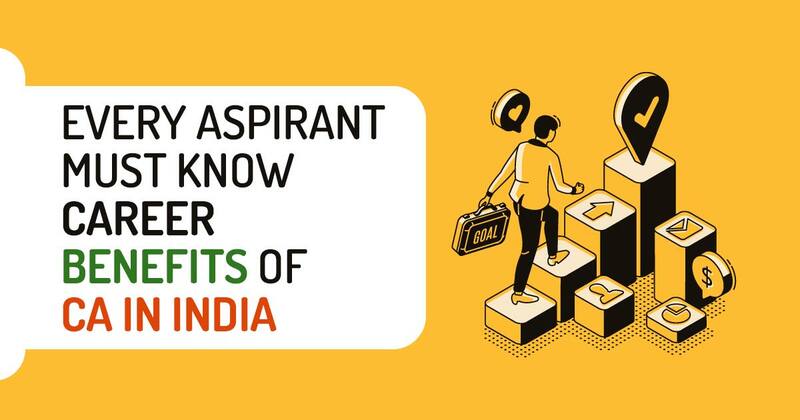 As CA plans an important role in business and tries hard to enhance the bottom-line of a company, a Chartered Accountant obtains satisfactory positioning in a contribution to the community and lives of employees. A Chartered Accountant is believed to be respectful and trustworthy. The CA gets a chance to be with multiple people and people respects the CAs in any gathering and get together. Accounting field cannot be outsourced and put away easily. The job opportunities in accounting are destined to enhance in the coming years. So far, people file taxes and the business exists, the need of CA will be always in trend. The Bureau of Labor Statistics (BLS) says that employment in the accounting field will move forward up to 11% from 2014 to 2024. This growth rate is faster in terms of the national average rate of 7%. The huge factor in the growth is the Baby Boomer generation that will leave the generation and workplace in upcoming times and certainly boost the chances of new opportunities for accountants. While studying accounting, you will learn practical skills about analyzing costs and crunching numbers that employers require. This provides a visible pathway for a career than the person who decides to study Philosophy or English where the results are difficult to mention. While choosing a career in an accounting degree, you know very well about the career prospects. Although there are various types of fields in accounting, the duties and skills are generally the same, so you will be knowing in advance before signing in for anything. A career in accounting can make you live your life comfortably with a generous salary. The median salary for the year 2016 stood at $68,150, as per the BLS. In reality, the BLS reports that 10% of top earners earned a total of $120,000 which is high as compared to the national median salary of $37,040. In addition, many accountants working as full-time earners get benefits like vacation time, retirement plans, healthcare, and more. In the profession of accounting, the dream to be your own boss is always alive. It is easy for CAs to start a small firm within reach. This is not a fact in every profession. For example, it is not possible for a pilot to launch their own airline, but the accountant can put the thought of own firm forward and work on it. Starting with an accounting firm and starting a business has risk factor as well and it is not for everyone, but it is an approach which always stays with an accountant. The scope of this field is wide, so the choice is yours where you want to stay and do your job with full hearts. In some fields, it depends upon industry and you have to move to work in any specific country. But Accounting is very different as it fulfills a universal need. Starting from farmers to software development industries, everyone can benefit from the services provided by an accountant. It provides flexibility in the amount of work you deliver when you choose where you want to go and live. After completing a graduate degree, you can start as an entry-level associate and the growth will be great later as well. The career choices include junior auditors, staff accountants, or assistants role at the office of controller. After gaining experience and established job, a career can be further elevated through additional education or certifications and on-the-job performance. Not like other fields, the learning in this field is a never stop journey and you have to learn even after completing an accounting degree. To continue in your field, you will require planning education even after completing your degree. But the advantage is that more education elevates you to earn more as well. It not only increases pay but also status as well. After starting a profession like as an entry-level accountant, you need to think about the type of certifications to come up with. The list of accounting credentials includes CPA (Certified Professional Accountant), CFA (Chartered Financial Accountant), and CMA (Certified Management Accountant). These credentials obviously require a prominent time and efforts as well in order to get into the required field, therefore it is very essential to know before the time come what is required in the current scenario. When it comes to fame, there is hardly a list you can come up with which are very famous personalities. Accounting is not a very glamorous field, but for people, recognition and glitz do not matter much, this is a perfect option to choose from. The daily work needs a lot of research and mathematics which appears boring to some people. In this regard, the term “boring” is distinctively subjective. Some may consider it attractive, but for some other, it can be boring at the same time. This is an important question which requires you to look into yourself and answer faithfully what really works for you. Learning deeply about accountants’ profile will certainly help you in deciding the work is suitable for you or not. Accounting is generally about 8 hours job, but sometimes like the financial year end and pending deadlines, the duration increases. The most important last date is April 15 for tax filing accountants. For some accountants, the burden of tax filing starts with the new year and ends on April 15. During this time, the work hours increase significantly because accountants manage their clients’ finance in order. But, the positive side is that the load just slows down after that period of time. When it is about taking responsibility for organizations’ finances, obviously the accountants feel some pressure. It is part of the work they do. Economia report says that 32% of accountants work under stress in daily life. So, it is also important for an accountant how much stress can be tolerable by them. The person being calm, cool and working under stress well is perfect for this profession. But if you feel stress so easily, this profession is not suitable for you. A Chartered Accountant is a nice profession considering earning, knowledge, responsibility, and position in the finance industry. There is a lack of young accountant in this field. This degree provides a sharp depiction of your mind as it is considered one of the toughest qualification. And this is what you need to fight for because you can’t buy it with money.